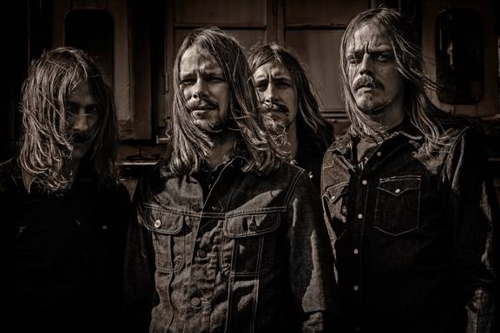 Metal Messenger - Metal & Hard Rock News: GRAVEYARD: U.S. Tour Dates Announced! GRAVEYARD: U.S. Tour Dates Announced! FINALLY: People in the States can stop complaining about not having some real goddamned rock ‘n’ roll shows to go to. Plus, our neighbors to the north & south have good reason to grab their passports and head for their borders. Rejoice Faithful Disciples of the Scuzz and Fuzz of Analog Sound for I say unto you that Sweden’s finest, GRAVEYARD, are coming back to headline in the U.S. to support their new album, Lights Out, due out in North America on November 6th! Launching on January 23rd in Boston, Massachusetts, the tour will feature special appearances in Seattle, Washington and Houston, Texas from The Devil’s Blood and Royal Thunder. 01/26/13 Black Cat – Washington, D.C.